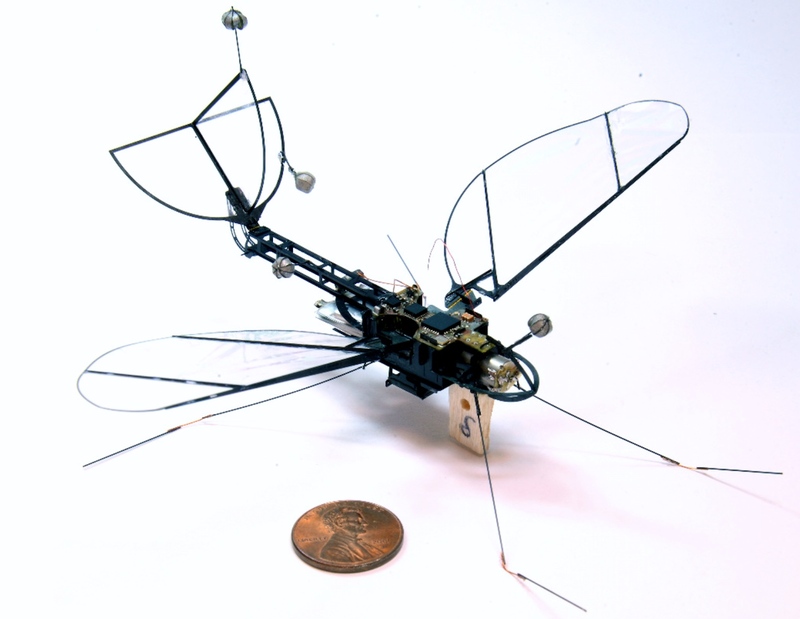 FWMAV is an ‘Untethered Flapping-Wing Platform’ – A Robot Insect – Developed by Harvard #microbiotics « Adafruit Industries – Makers, hackers, artists, designers and engineers! IEEE explain more about the electronics and components – with accompanying diagram – here in their news feed. “Development of a 3.2g Untethered Flapping-Wing Platform for Flight Energetics and Control Experiments,” by Michelle H. Rosen, Geoffroy le Pivain, Ranjana Sahai, Noah T. Jafferis, and Robert J. Wood from the Harvard Microrobotics Laboratory, was presented at ICRA 2016 in Stockholm, Sweden.